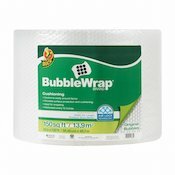 Packing isn’t always the most enjoyable (or speedy) activity, but if you have the right materials you can certainly make your job easier and a lot less time consuming. To help lighten your load, we’ve gathered a list of the best moving boxes to help you pack everything from clothing to TVs. 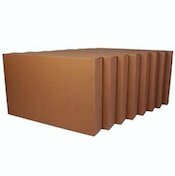 Take a look below to learn which boxes are best suited to your upcoming move. 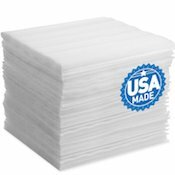 Dimensions 16" x 10" x 10" 18" x 14" x 12" 24" x 18" x 18"
16" x 10" x 10" 18" x 14" x 12" 24" x 18" x 18"
First and foremost, we have to cover the essentials. 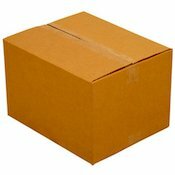 It might seem like a no-brainer to stock up on standard moving boxes to prepare for your move, but it’s important to remember that the size of your boxes matters. 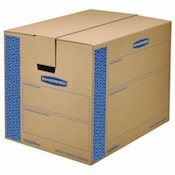 Small, medium, and large moving boxes each have a purpose. 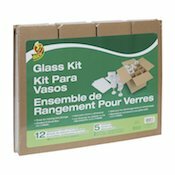 You’ll need an assortment of all three sizes to make sure you have the right box for the job at hand. For example, even if you don’t have a book collection to rival the Library of Congress, it’s best to divide your books between multiple small boxes so that each individual box doesn’t become too heavy. 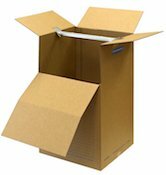 Large boxes, on the other hand, are a good place to pack big, billowy items like large blankets, throw pillows, or epic Costco teddy bears. Some of your belongings require a bit of special attention when it comes to packing. That’s where our top five specialty moving boxes come in handy. 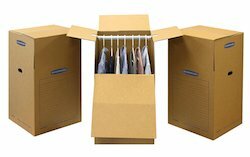 Wardrobe boxes are lifesavers when it comes to packing your clothes. Rather than making you go through the trouble of removing your clothes from their hangers and throwing them in boxes, wardrobe boxes have a metal bar along the top so you can simply hang your clothes in the box like you would hang them in your closet. Not only will this save you a lot of unnecessary folding time during the packing phase, but it’ll save you from having to iron and re-hang all your clothes once you get to your new home, too. Each box holds approximately two linear feet of clothing, so keep that in mind when trying to decide how many you’ll need. 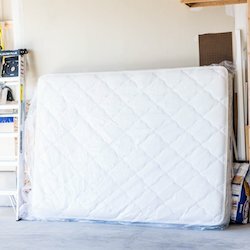 Although your bed might not be the first thing that comes to mind when packing and preparing for your move, it’s certainly not something you want to overlook. 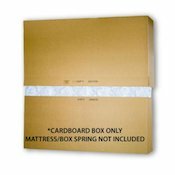 Mattress bags and mattress boxes are great options to keep your bed free from the dirt and dust often found in the back of your moving truck. After all, you don’t want to climb into a sullied sleeper after a long day of moving, do you? 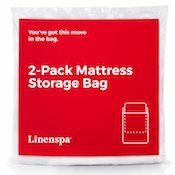 Mattress bags are the more affordable of the two options and are good for keeping your bed clean, but mattress boxes often do a better job of protecting your bed from being torn or punctured on the way to your new home. 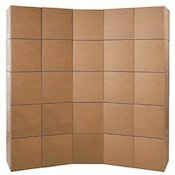 Picture boxes are a handy way of keeping large framed photos or canvas paintings intact in the back of a bumpy moving van. Simply relying on blankets or newspaper to cushion your pictures can result in cracked glass or punctured canvases. In addition to using picture boxes, take precautions like wrapping your framed pictures in bubble wrap to add even more protection. Do you still have the original box to your TV? 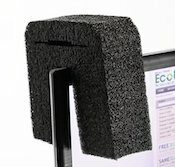 If so, this is your best bet to protect your TV during your move. For those of us who read Marie Kondo’s book and tidied it out of our lives, there’s still hope. 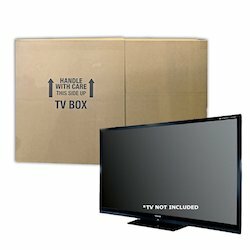 You can buy specially made TV boxes to ensure nothing happens to your television. The screens on modern TVs are especially vulnerable as random impacts can cause dead pixels, creating a big eyesore on an otherwise beautiful display. Piling your dishes in a box is a bad idea—and wrapping them in newspaper isn’t much better. 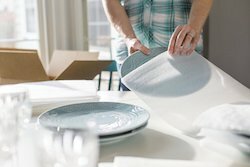 To ensure you don’t arrive at your new house with a box full of broken plates, we suggest looking into dish pack boxes, dividers, and foam padding. 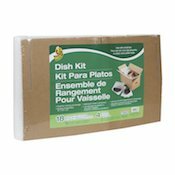 Dish pack boxes, coupled with foam padding, can help reduce the amount of impact on plates and glassware during all stages of your move, not just the van ride to your new home. 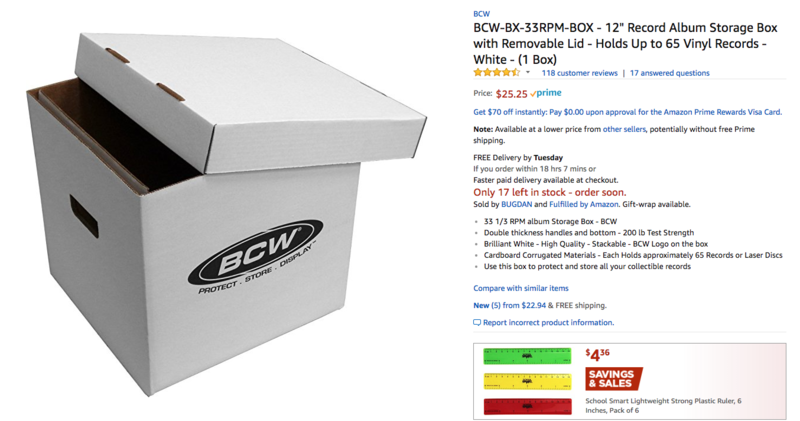 Do you have suggestions for any other moving boxes that are worth the extra cost during your move? Let our readers know in the comments below!